Hackers are everywhere. Even, apparently, at postpaid no-contract Sprint and T-Mobile MVNO Ting. In a blog post earlier this month, the company admitted that they discovered some hackers had attempted to break into Ting’s servers and as a precaution, the company has reset everyone’s passwords. There are two kinds of people in the world: people who buy phones, and people who make their own phones. And now, Ting wants to work with both kinds of people. The no-contract postpaid provider announced last week that Ting GSM SIMs are now available through Adafruit, one of the better-known online stores meant for people who enjoy tinkering with electronics. 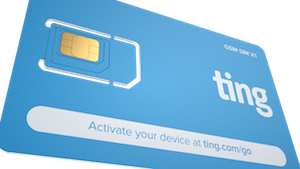 Last December, the popular postpaid no-contract MVNO Ting announced that it was planning on launching a GSM service to complement the Sprint-powered CDMA service Ting already offers. It’s widely accepted that the GSM service will be with T-Mobile, and closed invite-only beta testing has been going on for a few months now. However, yesterday, Ting finally declared that the GSM service is ready for an open beta, and anyone who has a compatible GSM device can now purchase and activate a SIM card to test out the new service. It’s a huge step for this little MVNO. Last week, Sprint finally ditched the BYOD blacklist for its MVNOs, promising customers that they could activate any Sprint device and there was much rejoicing. At least, at first. Then we realized that Sprint’s Financial Eligibility Check (FEC) system was broken. Like, really broken. And Ting says they don’t know that it will even be fixed, but they’ve still got customer’s backs on this. 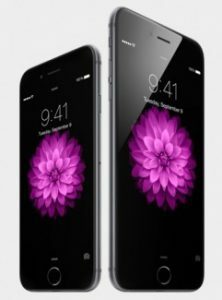 If you happened to be lucky enough to score a new iPhone 6 or iPhone 6 Plus (and somehow avoided the bendgate fiasco), then you probably have realized that your prepaid and no-contract carrier options are pretty slim. This goes doubly if you’re interested in taking advantage of Sprint’s expanding network. But, if you don’t mind goings with a tiered postpaid carrier, then Ting would like a word. Ting Mobile, the young and disruptive no-contract Sprint MVNO, announced Tuesday that it will be moving into the world of ISPs with the acquisition of Blue Ridge InternetWorks (BRI), a small internet provider in Charlottesville, Virginia. The purchase of the 70% majority stocks was announced at around 4 p.m. on Tuesday. The purchase price and terms are currently confidential. Big news this week for Ting lovers. In a press release earlier this week, Ting announced that they will be offering GSM service alongside their Sprint CDMA network in February 2015. While Ting has stated they cannot formally say who their GSM partner is, they have released this coverage map which suggests that their GSM network will be through T-Mobile and will include roaming on GSM partners, giving them one of the best GSM coverage maps in the MVNO market. Early Termination Fees (ETF) are one of the ways that the big carriers keep customers in contracts. That shiny new phone isn’t even half as free as you think, and breaking those contracts can result in fees of up to $350, depending on your carrier and how long you have been on the contract. But, you have a few options. Sprint MVNO Ting has upped their ETF Relief offer from 25% reimbursement to 50% with a maximum payout of $150. The offer is good from now until Jan. 5, 2015 for both new and current customers looking to make the switch. All you need to do is buy or bring a Sprint device, port your number, and submit the bill! Ting announced earlier this week that they would be able to activate the Nexus 6 on their Sprint-powered network starting this week. Customers interested in the Nexus 6 will not be able to purchase it directly from Ting, but phones purchased through Google Play or Motorola’s website should be compatible. Also as a bonus, you can probably get them unlocked. Ting hinted in a blog post last Friday that they expect to support the new Nexus 6 when it comes out next month. Full details about when exactly they will be able to activate the phone or whether they will actually carry the Nexus 6 (or just the SIM) have not been released. They did state that they expect to be able to activate the first Nexus 6 devices before the end of November. Of all of the MVNOs, Ting probably has one of the most unusual service models. Like all MVNOs, they don’t have a contract or anything of the sort. But, what makes them unique is that they also don’t have set plans limiting customers to a specific amount. Ting has declared that they will be conducting a rotating warehouse sale through the month of October with different devices going on sale every week. At the end of the week, all sale devices purchased will get an additional $20 Ting credit. The sales look like they are set from Wednesday to Wednesday, so the first group of devices will be discounted until October 8. Check out Ting’s promotion page for an update on warehouse and sales. Time was, when you wanted a new, top of the line smartphone, you had to go to one of the contract carriers. Few, if any, prepaid services offered the best and brightest. 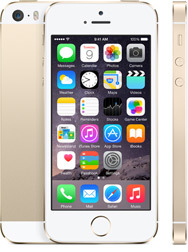 That started to change a bit last year, when a few prepaid carriers picked up the iPhone. Later a few more picked up the Samsung Galaxy S3. While the great majority of their smartphone offerings are from the mid- and low-tier pools, these high-end offerings gave prepaid carriers something more to offer their customers. Yet in most of those cases, the prepaid carrier in question was either a carrier on its own, or a subsidiary of a larger carrier. Few, if any, MVNOs have offered high-end smartphones. That’s why Ting’s recent announcement seems so out of place.